Today before the crack of dawn we did an radio interview with FunX about Binckie and the paper boat project. 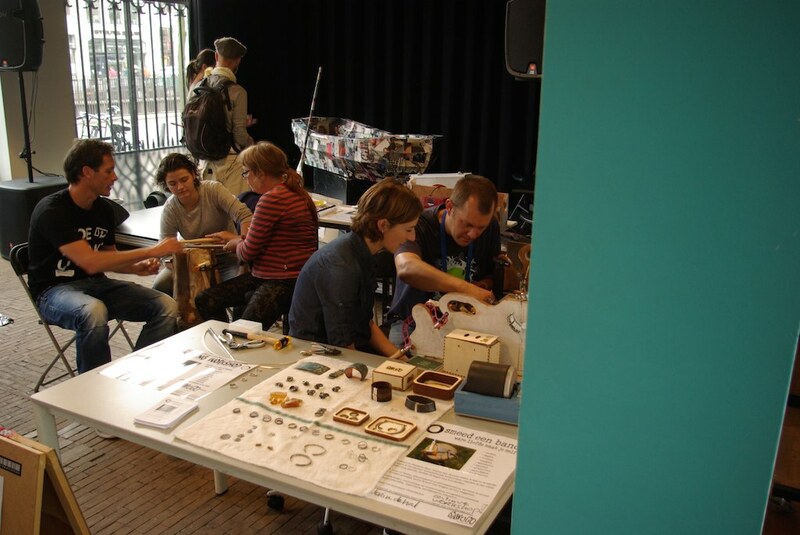 Today we participated in the Makers-fair in The Hague. Our paperboat found himself in good company of other inspiring inventions and remarkable objects. 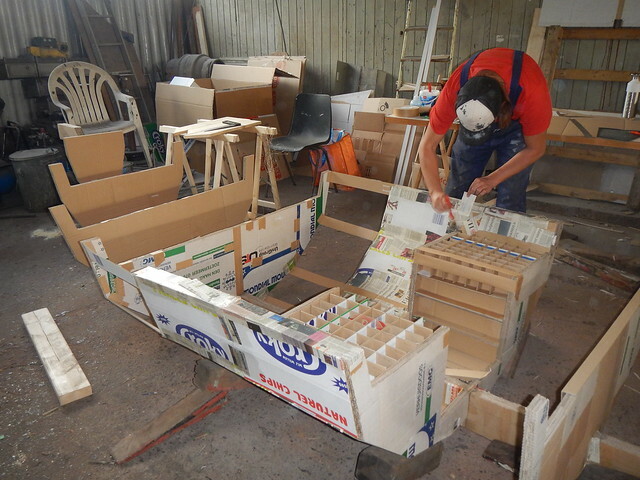 We’ve started to build our 5th paper boat Binckie at shipyard ‘De Haas’. Binckie will be a part of the I’M BINCK festival, which will be held at the Binkhorst, a remarkable industrial terrain in Den Haag. 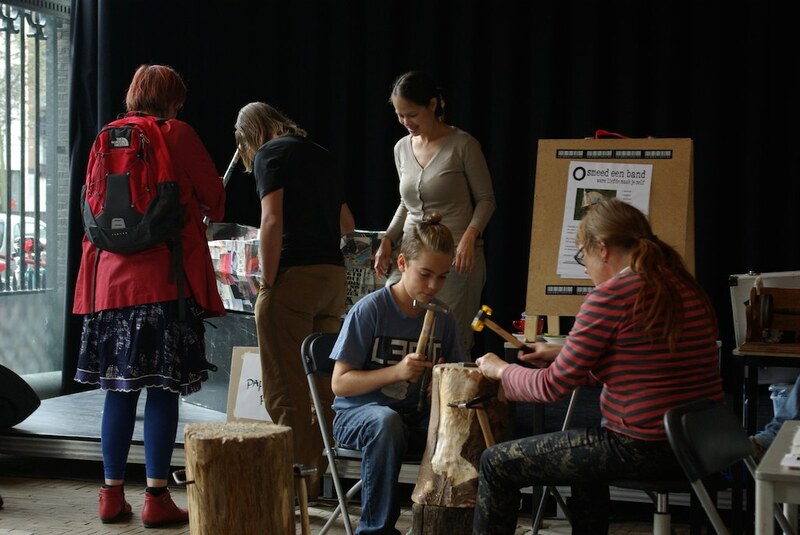 The festival celebrates the diversity of the Binckhorst and the possibilities this area has to offer. 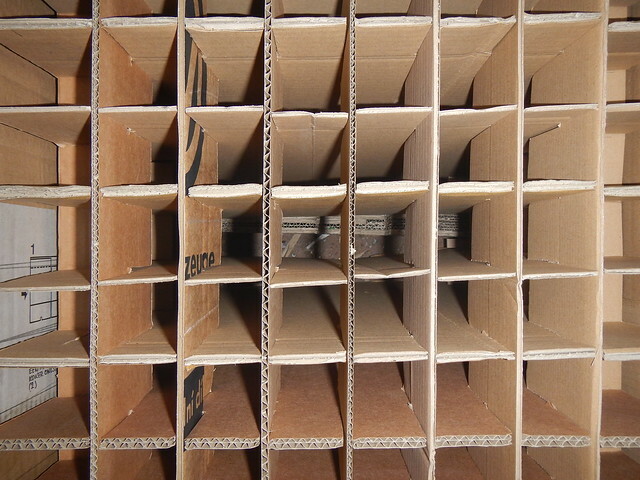 One of the main topics of the festival is circular economy. 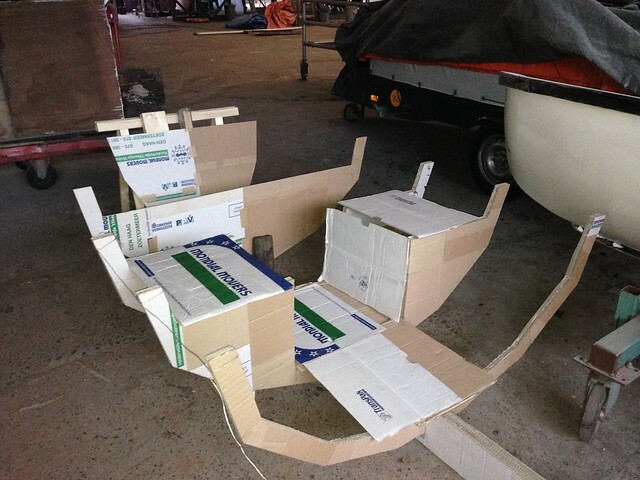 Therefor we’re using scrap paper and cardboard boxes from the enterprises and companies established in the Binckhorst for our new boat. 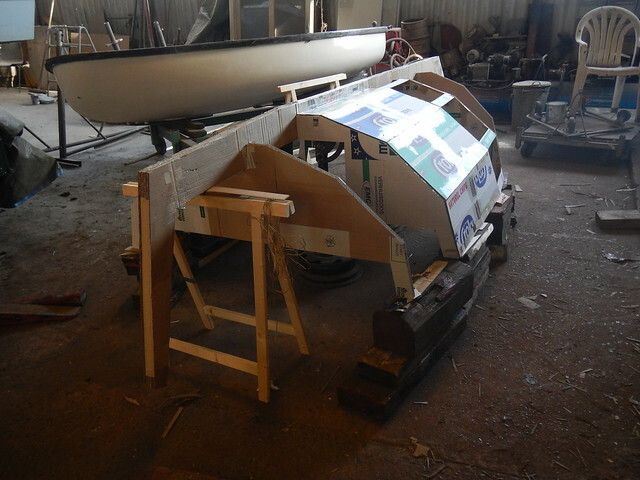 Binckie is going to be a fully bio-degradable boat, just like Paperboat 4, the paper canoe. 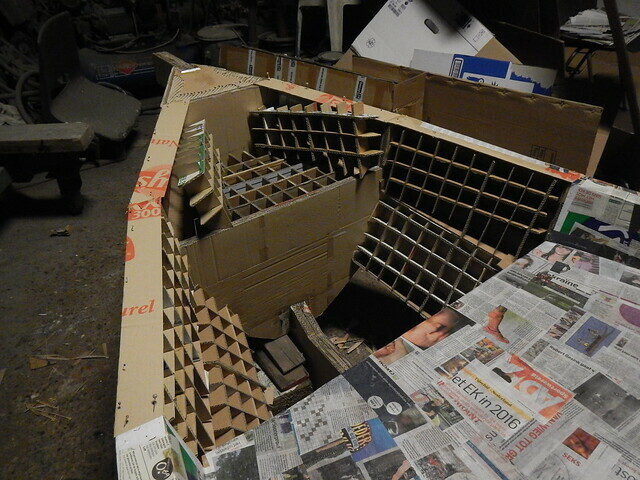 The frame is made from cardboard boxes, the hull from old newspapers. 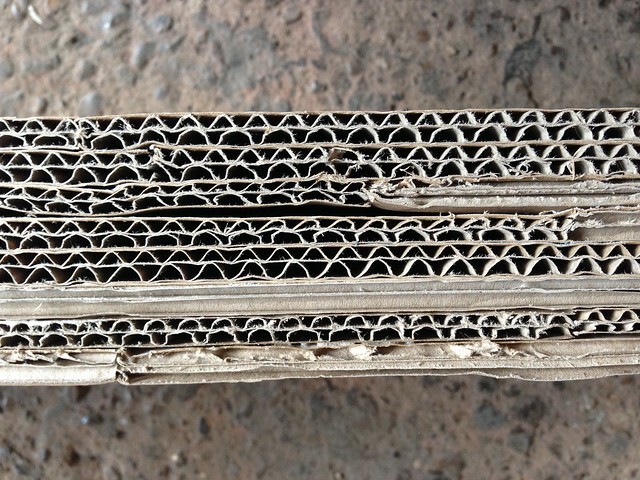 Cardboard and magazines can be used as a substitute for brown matter in compost. The glue will be an organic and actually edible glue. 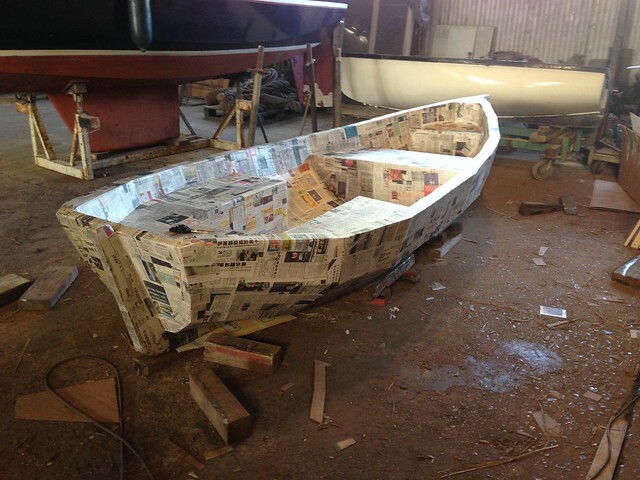 So the whole boat will be compostable. 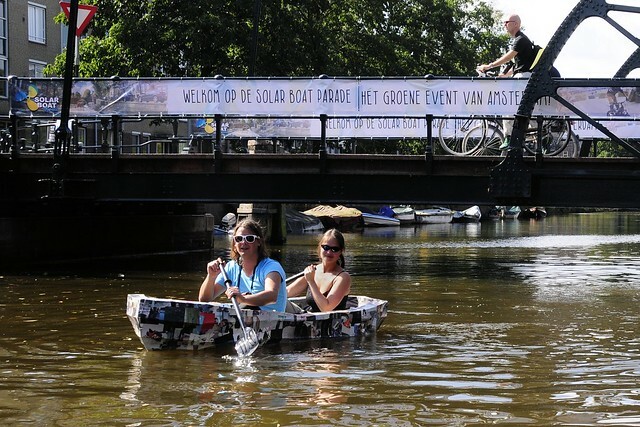 We don’t know how long it will float, the festival will continue for a month. But we hope that it will not be a problem for Binckie! 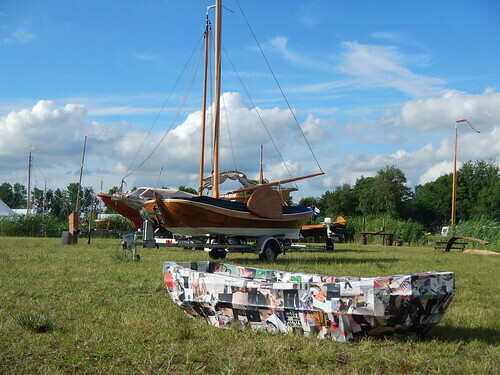 On the 14th of September we presented Paperboat 3 during the ‘Groene Grachten’ and the Solar Boat Race, an event about sustainability and technology initiated by Wubbo Ockels. 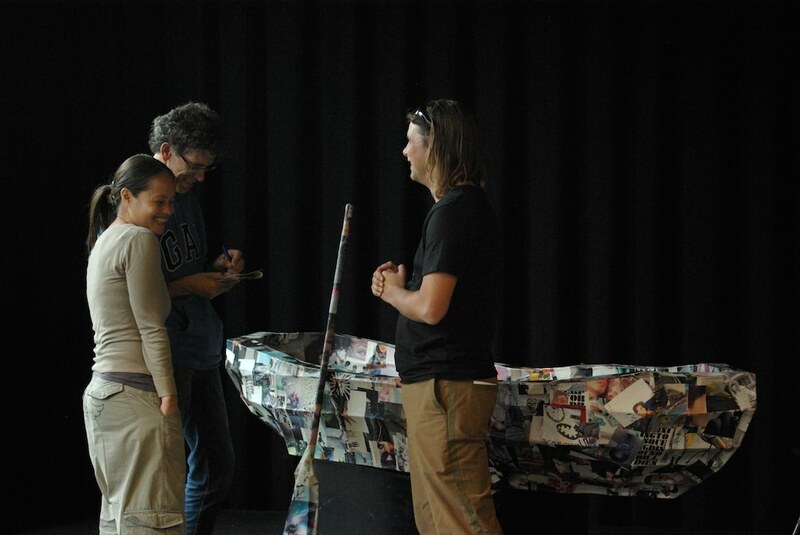 Our little paper boat was presented at ‘Het Plein van de Toekomst’ or ‘Future Plaza’ in English. 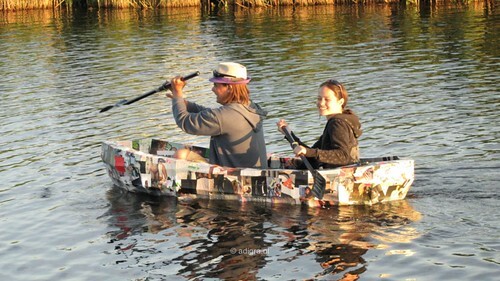 And of course we’ve tried it out in the canals of Amsterdam amidst the impressive solar boats. 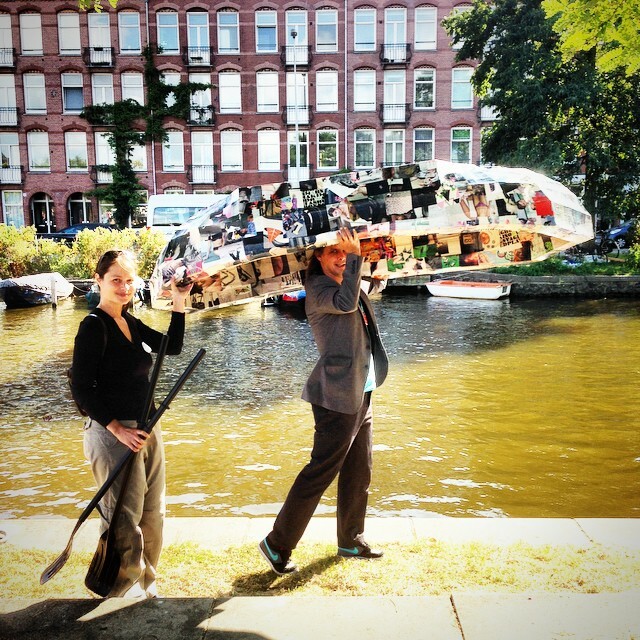 This year our Paperboat project is going to be a part of the I’M BINCK festival coming October. 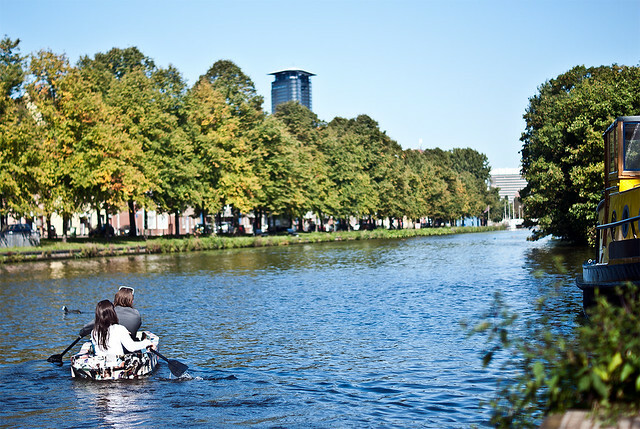 The festival features the ‘Binckhorst’, a remarkable industrial area in The Hague. 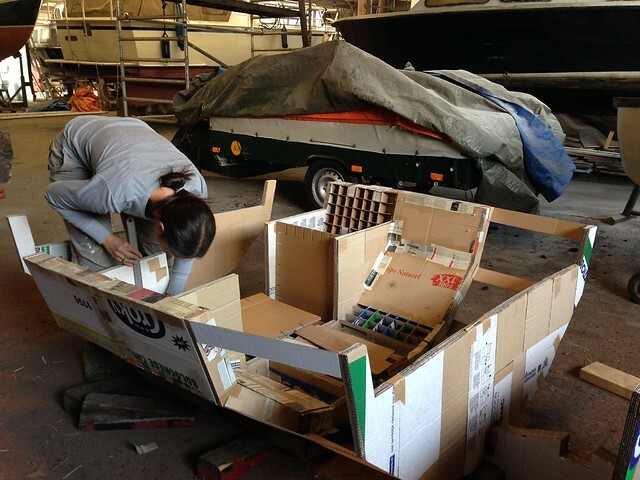 Circular economy is one of the main topics of the festival, so we’re going to use paper waste like cardboard boxes and newspapers from the Binckhorst for the build of our new boat. 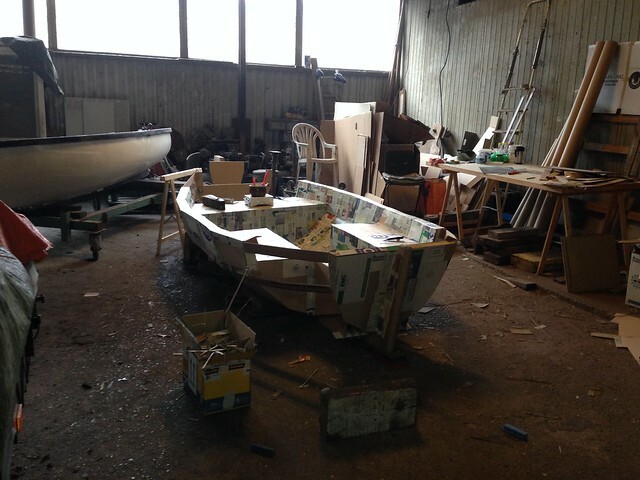 Our new boat will be launched in the beginning of October and will operate as a ferry during the festival. So join us for a boat trip in October! 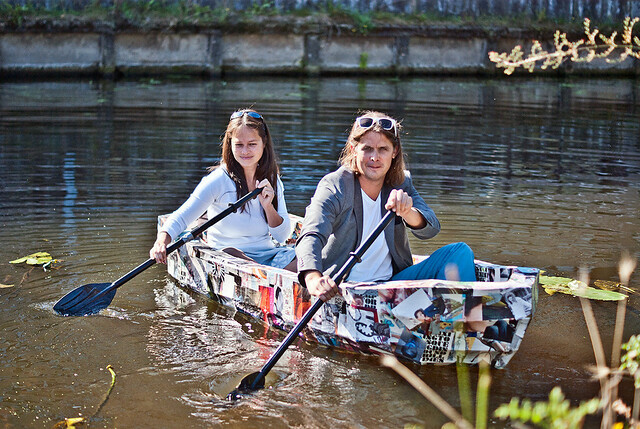 Today we’ve tested Paperboat 4, the first bio-degradable boat. 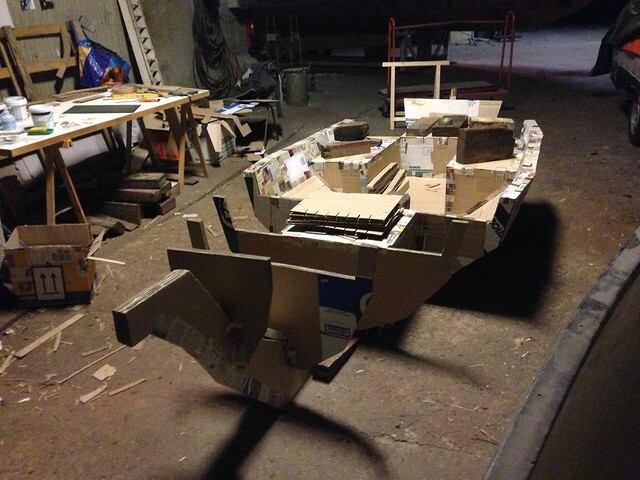 The boat is constructed with used cardboard and old newspapers, and the glue is solely made of organic materials. So you can throw it on the compost heap after use! And next year it could become a beautiful flower. 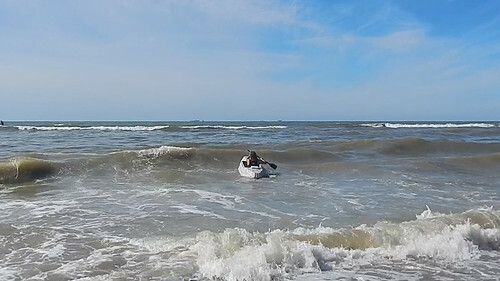 Since we made a canoe we thought we might as well test it in the waves on the beach in Scheveningen. And it survived the forces of nature! 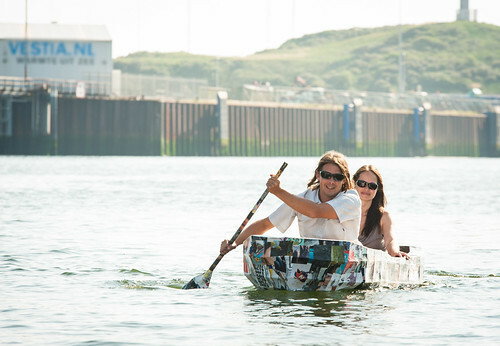 The NRC devoted an article on ourPaperboat project and the Paperboat race. The final corporate storytelling movie the students of InHolland made for us. It’s a fantastic movie, we’re proud and honoured to have been a part of their project. So a big thank you to Aissa Traore, Wilja Buyse, Pim van der Linde, Faricha Hamidullahkhan and Ruben Alders. 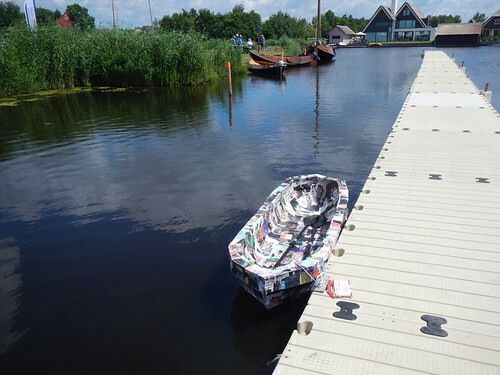 Our Paperboat traveled to Giethoorn to be a part of Sail Giethoorn this year. The little boat looked really tiny but hopeful amongst all those magnificent old sailboats. The event took place from June 12 to 14, 2014. 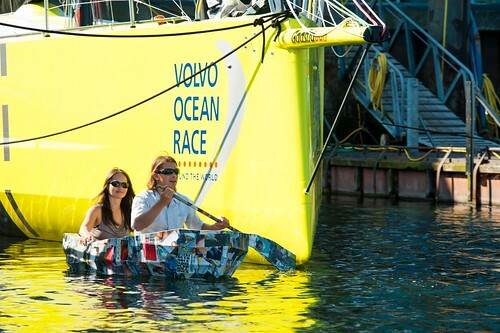 And our thanks to ADIGRA.nl for the great photographs! 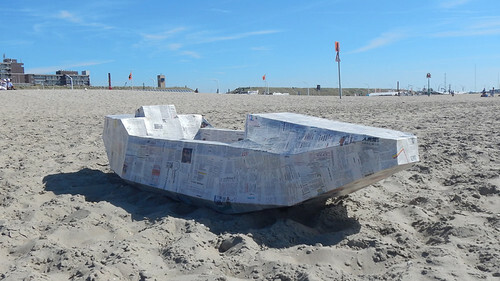 On the 8th of June we launched the ‘Paperboat Race’ together with Duurzaam Den Haag at the North Sea Regatta in Scheveningen. 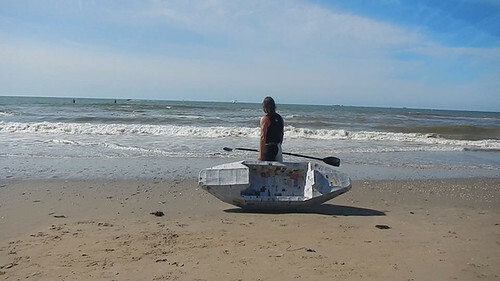 Caspar Bouman kindly agreed to be our test pilot, because it was the first time our little Paperboat was launched in salt water. But it withstood the sea remarkably well!